Our painters specialize in Exterior Painting. Vivax Pros has painted more homes in Highlands Ranch than anyone else! Working with your HOA! We work very closely with the Highlands Ranch Community Association. In fact, we make the color selection process very easy on you, the homeowner, and most of the time can even get approvals on your behalf! We have a color deck that we bring to every estimate that is very HOA friendly, especially with the HRCA. The Golf Club approval process is a little different but if there is anything we can do to help, we will. Our estimators are familiar with a lot of the color schemes in that part of Highlands Ranch even though we are unable to submit on your behalf. Most trusted local painters – We treat your residence as if it were our own. 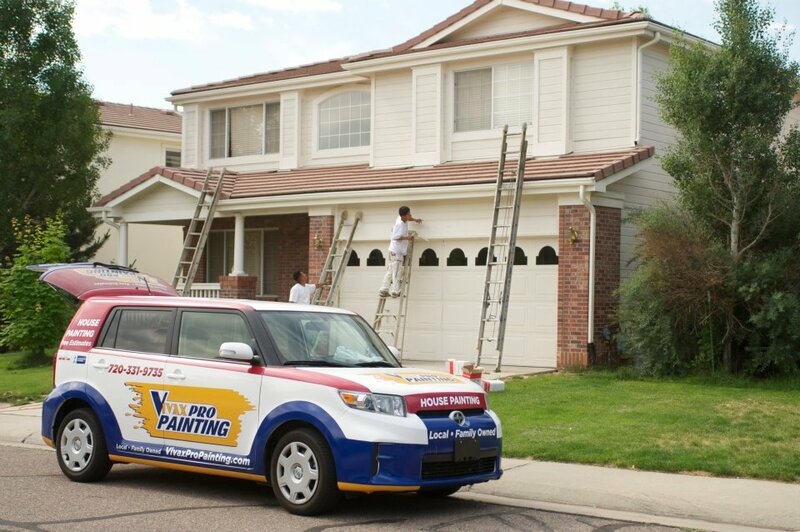 Unlike many residential exterior house painters in Highlands Ranch, CO we accept no payments or deposits until you and a Vivax Pros Painter have inspected the job. Other house painting companies in Highlands Ranch, CO can’t compare to us, we’ll prove it! Find out what it costs to paint your house with a free estimate. These come with a free color consultation from our expert estimators. 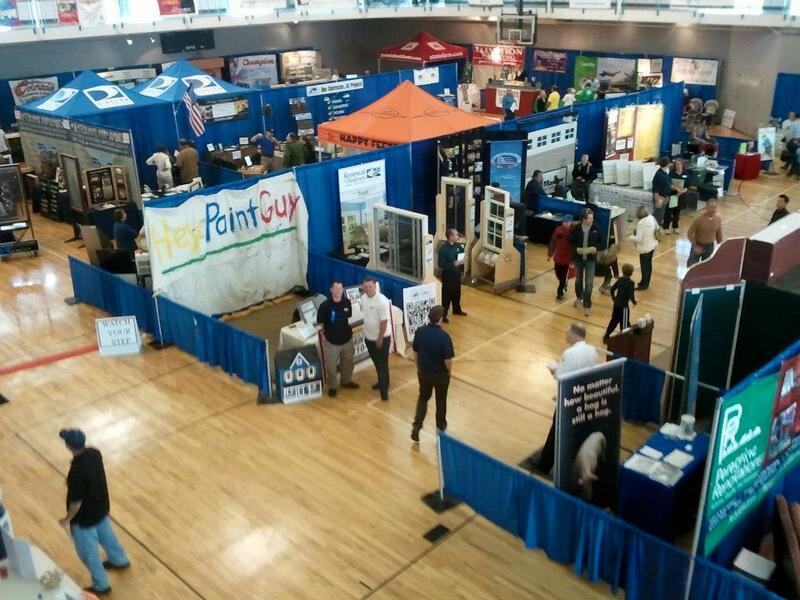 Hey Paint Guy (Vivax Pros) at the Highlands Ranch Home Show every year! 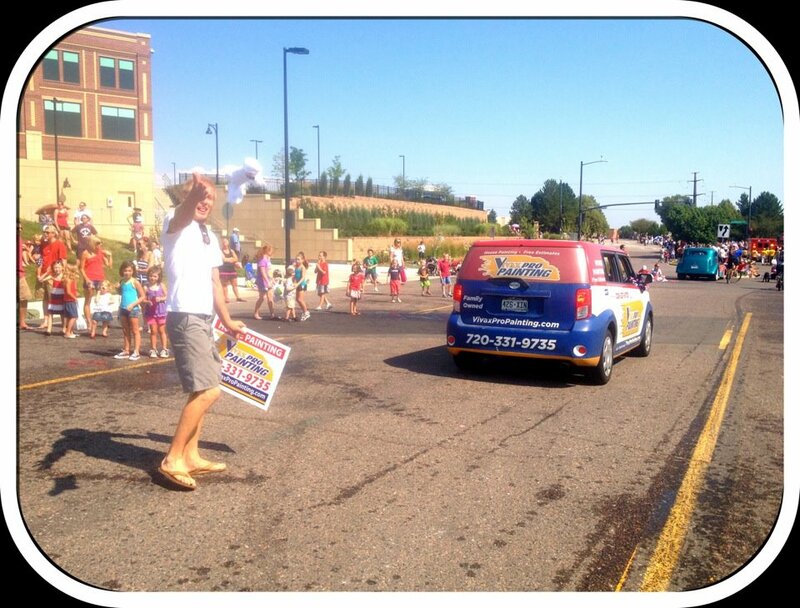 Highlands Ranch 4th of July Parade!